Vw Eos 2.0l tdi 6speed 1 years M.O.T as of yesterday New discs and pads front and back Roof needs attention £1695 Ono 07930022300. VOLKWAGEN EOS 2.0 TDI CR 140. Orginally 2010 hidden behind a privet reg. Along with any thing else i have for it. If not sold it will be put back to standerd and relisted for alot less! Rear tires & and breaks was on advisory for mot. 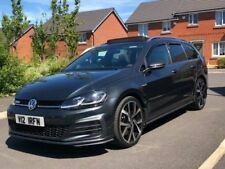 MOT TIL SEPT 2019RARE DSG SEMI AUTO GEARBOX. CONVERTIBLE HARDTOP THAT WORKS. ELECTRIC WINDOWS. ELECTRIC GLASS TILT SUNROOF. LOVELY CAR TO DRIVE. THE SUN IS GOING TO SHINE FOR MONTHS !!!!! The car has a main dealer history to 75000 miles and specialist since. oh seven nine six oh ate seven oh for for six. Ihave for sale my husbands car. Very economical on diesel. It drives beautifully. It has 2 keys. MOT due August 2019. 2 new front tyres. 12 months MOT. For sale VW Eos 2.0 tdi sport 6 speed manual gearbox. The electric roof opens & closes excellent the seals have been treat on a regular basis. Electric mirrors. Power steering. Power windows. FULLY WORKING PANORAMIC GLASS SUNROOF. -FULLY WORKING ELECTRIC CONVERTIBLE ROOF. RUNS AND DRIVES EXCELLENT CAR IN GOOD CONDITION INSIDE AND OUT. FULL SERVICE HISTORY.121K MILES WITH NO PROBLEMS OR KNOCKING. Volkswagen Eos 2.0 T-FSI DSG 2007MY Sport. Cowbridge Road Motor Company - Call us on 442921676965 or click here to find out more. 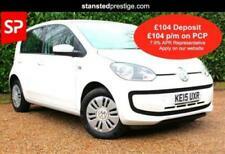 West London Motor Group - Call us on 442037808208 or click here to find out more. Mancetter Car Sales - PLEASE CALL US TO BOOK A TEST DRIVE TO AVOID DISAPPOINTMENT - Call us on 441733794263 or click here to find out more. MOT 30th April 2020. 1st owner had it from new for 10 years and had misplaced the service book. I bought it 12 months ago from them. Average 50 mpg. Location Burnley, Lancashire. Front and Rear Discs And Pads Replaced Feb 2019. 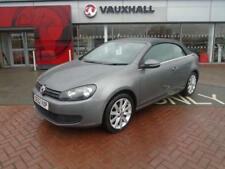 New listingVolkswagon Eos Sport TFSI 2008 Only 86,501 Miles F.S.H Drives Superb. Volks Wagon Eos Sport T FSIConvertible Hard Top. 2007 VOLKSWAGEN EOS 2.0 TDI Sport 2dr DSG. Timing belt done. Near 1000 perfect feedback, Purchase with confidence !